Easy one floor loving! All Brick Ranch. Dining/Kitchen opens into Patio. Both Bedrooms have full length closets. Raised Panel Doors. Roof 2005 - Furnace 2007 - AC 2008- Driveway 2008 - garage door 2010- Call Agent for full list upgrades. Third Street to Grand -North to Ash Court -West to Property. Lees Summit is located in Missouri. Lees Summit, Missouri 64063 has a population of 95,094. The median household income in Lees Summit, Missouri 64063 is $78,186. The median household income for the surrounding county is $46,917 compared to the national median of $53,482. The median age of people living in Lees Summit 64063 is 37.2 years. 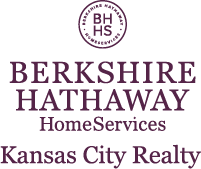 I am interested in 402 NE ASH Court, Lees Summit, MO 64063.